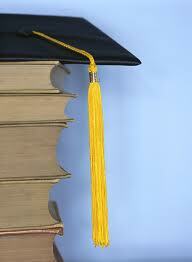 As all of us know, dissertations play a great role in our studying process, in our career and, possibly, in our life. To most of students, dissertation writing is a boring process with a lot of efforts and time to be spent. One need to conduct a lot of research, read a lot of books, even play with experiments, depending on the science field. Though experiments might be fun, research is usually not. How to make the essay writing process more interesting? The main and most important part is to choose a topic for your dissertation. There are a lot of factors that one should consider before choosing a topic. 1. Topic should be interesting. You need to be interested in the topic in order to succeed. As a lot of reading is involved, you need to make sure that this reading will be interesting to you in first place. 2. Literature availability. Once you have a list of topics that you are interested in, make a small research on each of them and see how many literature is available. Books, e-books, magazines, web articles… Even if you don’t have a book in the library, if you know that it is available at a certain website, you know you can buy it and use it. Some topics are very tough in this case. The less sources you have, the more trouble you are in. So mind that. 3. You would need to find a good supervisor or the tutor. Thus the paper should be of interest among professors so they agree to work with you. Some of them are not willing to do that if they don’t like the topic. Posted on August 27, 2012 by admin. This entry was posted in Uncategorized. Bookmark the permalink.